“I’m bored”: the dreaded words that every parent fears. 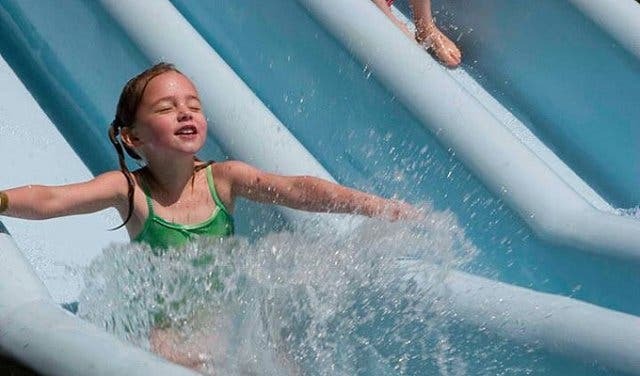 Luckily, for your own sense of sanity, we’ve rounded up a range of our favourite kids’ adventure activities to inject a bit of action and distraction into the little ones’ lives. Here are some of Cape Town’s best adventures for children, from swinging through the trees at the zip line in Ceres to sailing the open seas on a pirate ship. Survive the sizzling Mother City summer with frequent trips to coolest park in town – Waterworld Strand. A kiddies’ oasis with five waterslides, pools, play parks, and a nifty zip line, the park’s the perfect spot for a birthday celebration or a memorable day out. There’s nothing like a twisting, turning, super-slide to make the young – and young at heart – light up with laughter. So gather the family and some friends for a wholesome day of good, old-fashioned fun in the sun. Note the park is only open for the summer season and operates from a well point. For details on prices, dates and times, read more about Waterworld in Strand. Adventure diving, penguin walks, a jelly room, shark tanks, touch pools, a kelp forest and so much more. 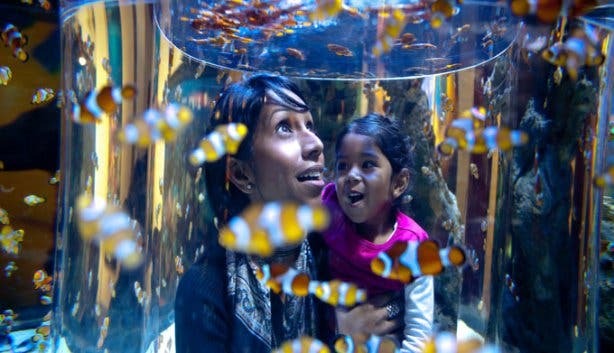 Cape Town’s only aquarium is full of exciting and interactive exhibits that will keep visitors (both young and old) busy for hours. The little ones will recognise some underwater creatures from popular animated films, but they’ll also have the chance to be meet and get to know so many more fish from both the Atlantic Ocean and the Indian Ocean. The penguin walk is a delightful experience anyone will enjoy. Two Oceans Aquarium boasts two classrooms that can host up to 30 students each, making it ideal for school and group tours. Read more about the discoveries at the Two Oceans Aquarium. Struggling to drag your kids away from their computer games? A trip to Imhoff Farm’s paintball arena might be a good way to go about replacing their 2-D characters with real life interaction – well, almost. Teamwork, stealth and strategy are all part of what makes paintball so exciting. Hiding behind trees, belly crawling through the grass and strategising with team members will soon make pre-teens and young adults forget about the digital world. Not for the easily bruised, this is ideal for older children (age minimum is 11 years). 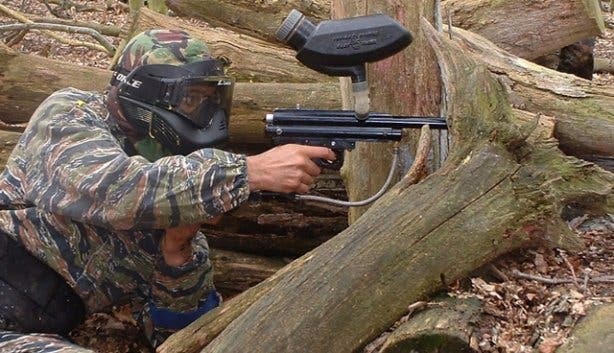 All the necessary equipment is included in the single session rate, such as the gun, protective gear, bush jacket and first 100 paintballs. Extra paintballs cost R35 per 100 paintballs (an average player uses about 200-300). 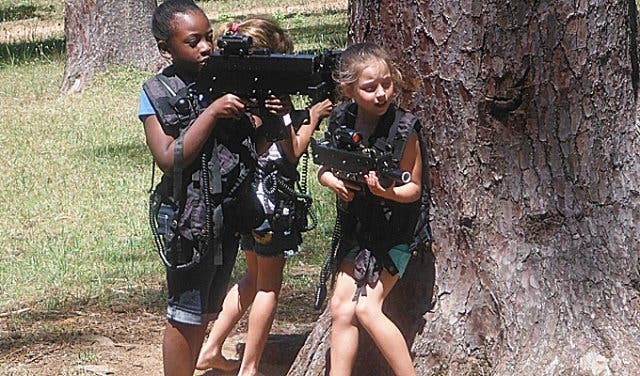 Younger children (5 and up) can play laser tag, which is also on offer at the arena. And while there are countless places to play paintball, Imhoff Farm’s offering is especially tempting because there is also an amazing array of other activities on site. 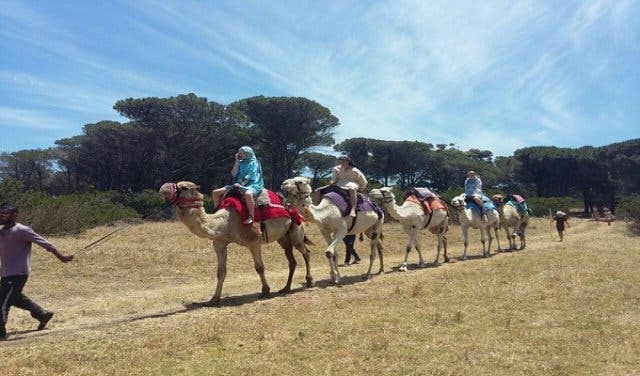 If paintball sounds a bit too hectic, then why not take your kids for a camel ride at Imhoff Farm (next door to the paintball grounds). There are five camels available, and though the jerky two-metre ascent onto the animal’s back keeps things exciting, the experience is gentle and enjoyable. 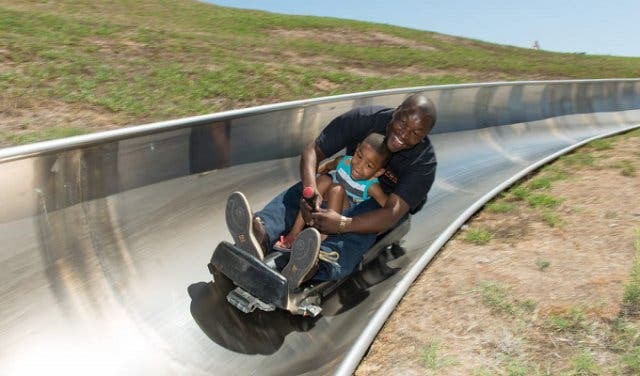 There are differing ride lengths (one around the farm and another longer bush ride), so both adults and the little ones can enjoy a ride best suited to them. Book your camel riding experience at the hut by the entrance when you arrive, and then have a look around the farmyard or the shops while you wait your turn. Are you looking for a new and adventurous way to celebrate your child’s next birthday that will keep partygoers and parents talking for years to come? We have just the answer for you! Vista Parties. 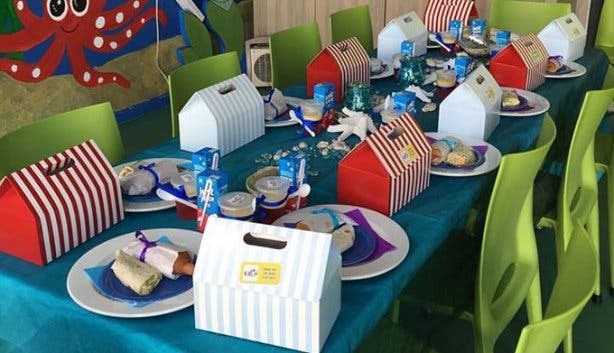 Offering four unique party packages ideal for kids of all ages (from two to 15 years) – Under the Sea, Tommy Tugboat Combo, Ocean Adventurer Combo and World of Birds – these birthday adventures will have your child and friends discovering the big blue and all its inhabitants at the Two Oceans Aquarium, taking a road trip to Hout Bay to see some of the country’s most majestic feathered friends at the World of Birds, sailing the Atlantic Seaboard or enjoying a round-about leisurely harbour cruise. Jam-packed with action, activities and adventure, Vista Parties party packages are geared to step things up a notch ensuring your child and friends have an unforgettable birthday experience. What’s more, Vista Parties does everything, from the bookings and details to the setting up and cleaning up, all mom and dad need to do is pick a package and book a time slot, once that is confirmed, Vista Parties will handle the rest. Each package includes all entry fees and tickets, party packs as well as a light meal. Craving adventure on the high seas? 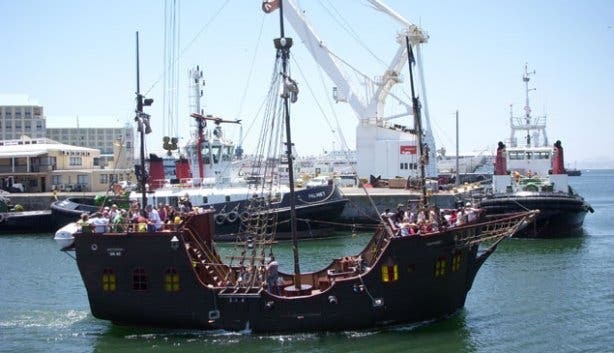 Set sail aboard the V&A Waterfront’s Jolly Roger and enjoy a live pirate show out on the open water. 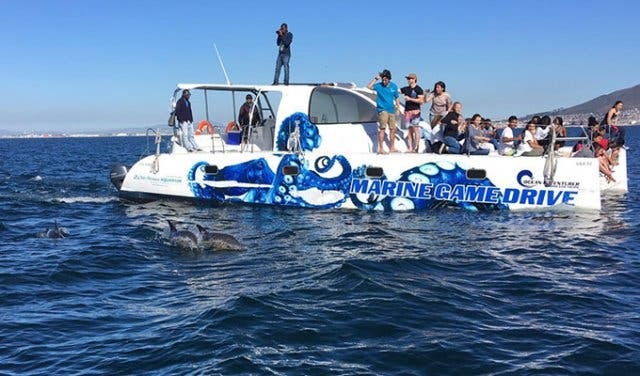 There are three daily cruises leaving from the Waterfront, or if a private tour is more your thing, you can choose to book kids’ parties or rent out the boat for private charter (for a maximum of 70 passengers). Children will love the authentic looking pirate ship and the sense of adventure that the crew creates. Start practicing your ‘arrrrghhs’ beforehand, and teach your kids some pirate lingo so they can get into character for the trip. Have kids with a need for speed? 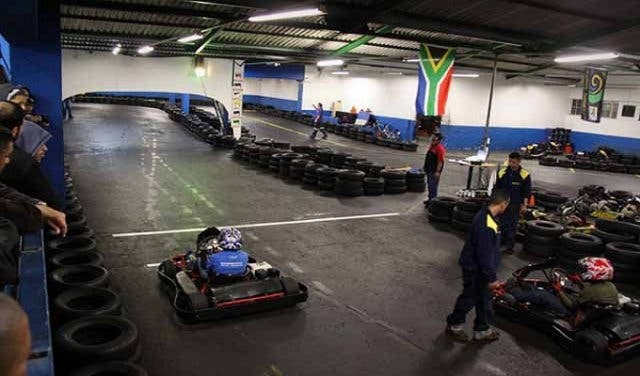 Let them race each other around the 310-m mini-replica of the Killarney racetrack, complete with twists and turns to keep their adrenaline pumping. 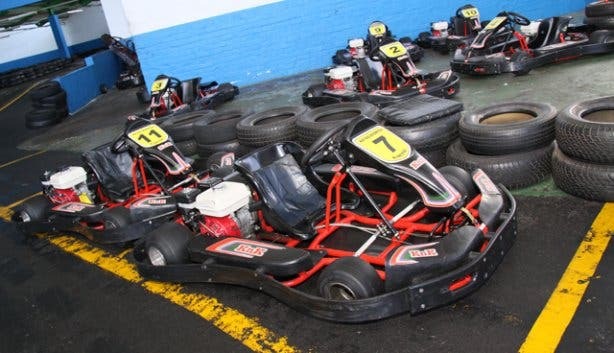 The 160cc carts have hydraulic brakes and slick tyres to keep them safe. Please note that there is a 1.6-m height restriction, so this is an activity for older children only. A perfect indoor distraction for the colder season, grab your kids and a few of their friends and turn even the chilliest of winter days into an action-packed driving adventure. We’ve swapped sunshine and beaches for snow here in Cape Town, but that doesn’t mean we have to miss out on the winter sports they get to enjoy elsewhere. 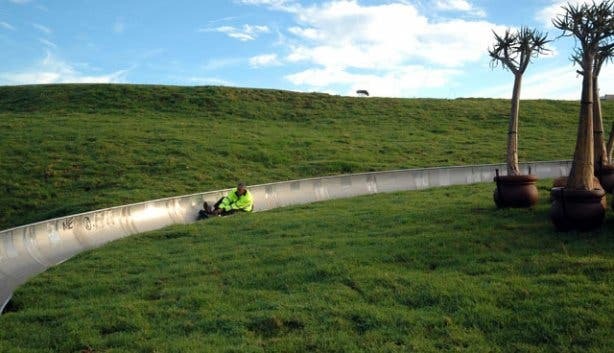 This tobogganing may not be down a slippery winter slope, but that doesn’t mean it lacks any of the thrill. The 1.2-km steel tracks allow for speeds of up to 40km per hour; little ones can race down the wiggly hill without the fear of falling into icy snow banks! 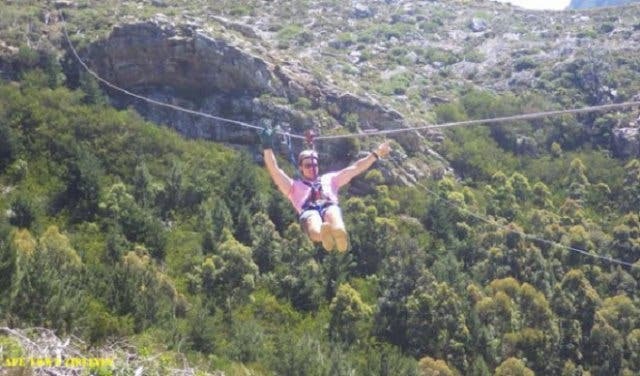 There’s also no trudging back up to the top; the steel cables take the work out of this fun-filled day. 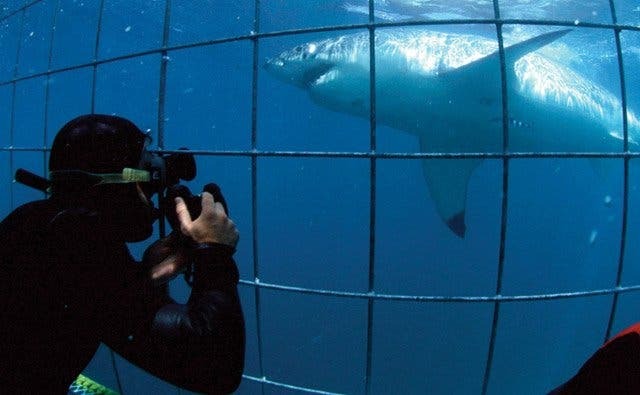 If you’re keen to seriously get your kid’s adrenaline going, there is nothing better than shark cage diving off the coast of Gansbaai, South Africa’s great white capital (roughly two hours from Cape Town). This activity is safer than it sounds as a steel cage allows you to share the water with these frightening sea creatures without the fear of a real attack. A minimum age of 12 years is required to dive; however, anyone younger or simply unwilling to get in the water can view from the boat—making this a fun activity for the whole family. Whether you’re in the water or out of it, the sight of great white shark is sure to set your heart racing. You’ll pay a hefty price for this once-in-a-lifetime adventure, but we think it is certainly worth it. Dive gear and breakfast is provided, and transfers from Cape Town can be purchased for an additional fee. If shark cage diving is a bit too extreme, the long-running Little Blue Train may be the perfect small adventure for the youngest of your kids. The miniature locomotive in Cape Town is the only one of its kind in the city, and has been towing delighted boys and girls around its circular Mouille Point promenade route for nearly 50 years. 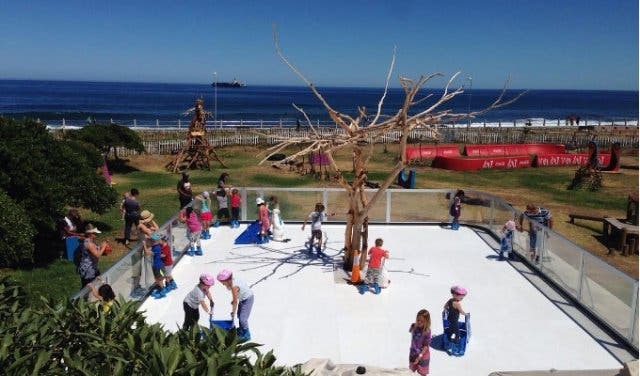 You and your children (of one year and up) can spend a leisurely afternoon taking in picturesque views of the sea, passing ships and Robben Island, and after, the nearby jungle gyms and climbing rock offer little ones an ample opportunity to expend excess energy. Fares go to the Rotary Club of Sea Point’s projects. Most kids love the furry and the fluffy, why not take them to these petting zoos?